Welcome to the latest edition of Educate Positive, our fortnightly bulletin celebrating the great work taking place in our district’s schools and educational settings. In this edition we have several exciting events, including another Outstanding Ofsted report for one of our district’s schools; and a special award for a teacher for her clever use of film to engage pupils and develop their reading and writing skills. We are delighted to tell you about another outstanding school – Hazelbeck School achieved Ofsted’s highest accolade in its recent inspection. Hazelbeck School opened in April 2010 and is co-located with Beckfoot School to form the Beckfoot and Hazelbeck Learning Community. Beckfoot was also recently judged to be outstanding. 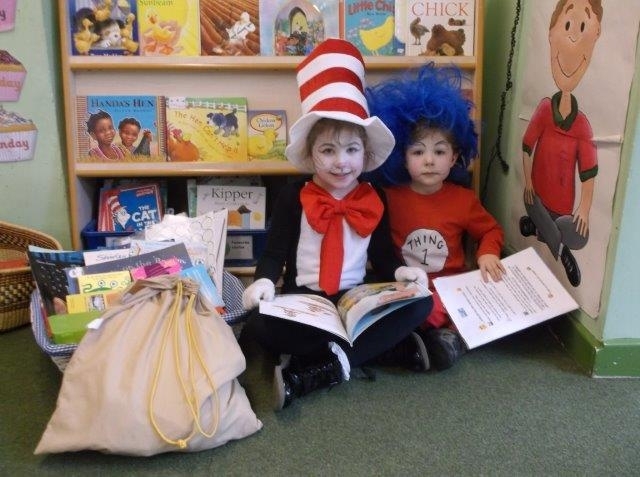 Keelham Primary School is very proud of its pupils and their involvement in the Summer Reading Challenge with a record number having taken part. Pupils are so keen to learn they are talking about their favourite books and taking them home to share with their families, spreading the learning together even further. Every week three pupils take home the Golden Book Bag which they read with their families and produce a scrapbook, consisting of written stories, photos and drawing about their learning experience and the book they had chosen. This is then shared in a school assembly. Well-known author Andrew Newbound visited the school just before World Book Day and completely engaged the children, not with his stories, but with his love of words. Headteacher Debra Butler said the senior management team in the school had carried out two reading audits with the children and are overwhelmed by the positive attitudes that pupils have towards their reading. Greengates Primary School has seen an improvement in standards of reading and writing as a result of one of their teacher’s inspirational teaching. By using film across the curriculum, Claire Dunsire engaged the pupils in their learning which has in turn resulted in improvement in reading and writing standards. Claire has been recognised for her work as she received the prize for “most inspirational use of film in the classroom” at the Into Film Awards in London earlier this week. As well as inspiring pupils at Greengates Primary, Claire also presents her work to teachers across Bradford and has also presented to Welsh teachers as part of their pilot Film Literacy project. Claire became one of the leading teachers from the training she received from the Bradford Media Literacy Project run by the Council’s Curriculum Innovation Team. The British Council has recently funded a study on “Improving education outcomes for pupils from the new Roma communities”. This report gives national and international prominence to the work which colleagues in education and in our schools are doing. The full report can be downloaded here. In the report, its author Mark Penfold has praised and thanked Bradford Council’s Children’s Services for its excellent work with EU Roma families. The report specifically cites Whetley Primary Academy and offers a case study which celebrates the outstanding work of this Bradford primary school. Although pupil mobility is exceptionally high and the average time in school is less than three years, the school has significantly improved the attendance and progress of Roma pupils. Progress in reading is particularly good. Through high quality teaching and strategies such as the ‘Talk for Writing’ Strategy, the children who are new to English are helped to make outstanding progress. Highly skilled leaders in this school make a huge contribution to both the life of the school and the work of the Local Authority through the Closing the Gap Group for New Arrivals and the EU Migrant Strategy Group. Cindy Peek will retire in April from the post of Deputy Director of Children’s Services, a role she has held for seven years. 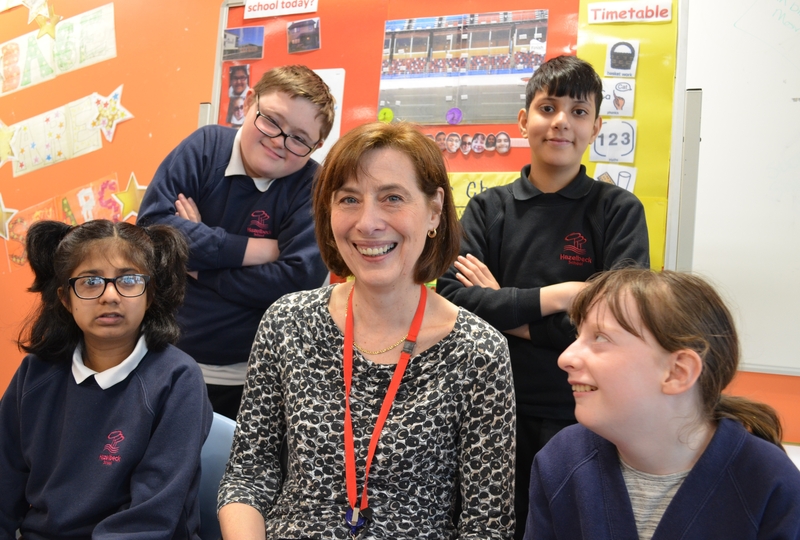 During her time in Bradford, Cindy has overseen the development of 15 new schools, including nine special schools, which have led to thousands of students now being taught in state-of-the-art schools. We wish Cindy well for the future. Welcome to the second edition of Educate Positive, our fortnightly bulletin which showcases the innovative and effective practice taking place in the district’s schools and educational settings. 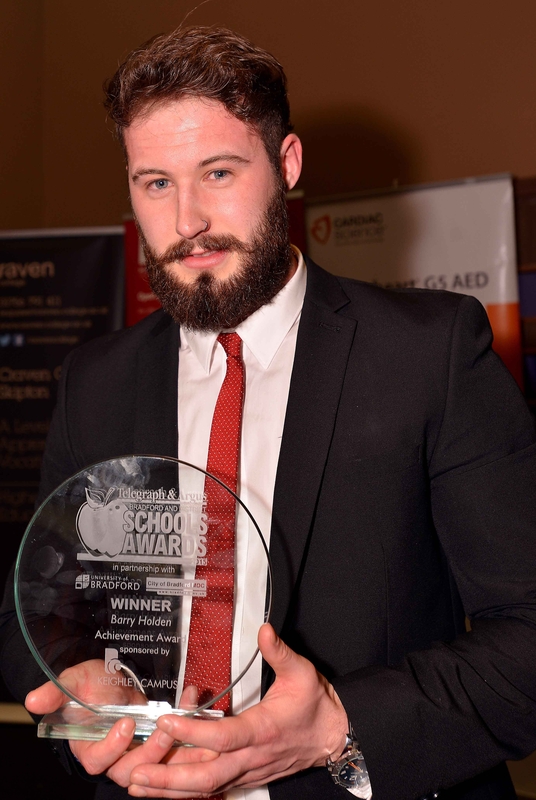 In this edition we are delighted to tell you about the school and support staff who won at the T&A School Awards. We can also share with you two examples of outstanding Ofsted success and details of the Anne Frank + You Exhibition. The excellent staff at schools throughout our district were recognised for their achievements at a glittering awards ceremony on 5th March. The winners in each category are listed below. The T&A Schools Awards are a joint venture with Bradford Council and the University of Bradford. The Achievement Award was posthumously awarded to the late Barry Holden, a sports teacher at Southfield Special School. Mr Holden sadly passed away last year. 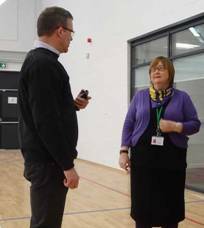 His inspirational teaching benefited thousands of pupils throughout his 30 year career. Executive Headteacher Anne-Marie Merifield has been at the helm since the first outstanding judgement was given in December 2008, then again in November 2011. Anne-Marie is interim Executive Head at Lilycroft Nursery School, also outstanding. St Edmund’s Nursery School is a National Teaching School. Teaching schools are outstanding schools asked by the Department for Education to work with other schools to provide support, including training people who are wanting to become teachers and providing support for teachers wanting to improve their classroom practice. Bradford Central PRU also received Ofsted’s highest accolade, with praise being given for “the purposeful learning that prevails across the Bradford Central PRU” which is “a credit to all staff”. In a glowing report inspectors commented that “the teaching of reading, writing and number is outstanding, as is the teaching of personal and social skills”. Nationally only 14% of PRUs have been judged to be Outstanding by Ofsted, so this is a fantastic achievement. Since the start of the Anne Frank + You project in 2008, over 10,000 of the district’s pupils have had an opportunity to speak out about hate-crimes and give their voice to the peer led project which has created an excellent relationship with the Anne Frank Trust. Based on the experiences of Anne Frank, pupils have been encouraged to voice their opinions on the importance of human rights. 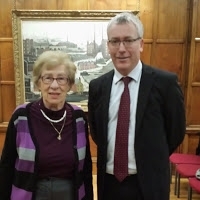 Bradford was awarded a sapling by the Anne Frank Trust which was recently planted at Lister Park by Anne’s step-sister Dr Eva Schloss MBE, along with dignitaries and several pupils on the Stand up, Speak out, Make a difference (SUSOMAD) peer education project. Dr Schloss was the keynote speaker at the launch of this year’s Anne Frank + You Exhibition on the same day. Pupil Voice has been the overriding feature in the SUSOMAD programme which has led to almost 1,000 pupils becoming Anne Frank Ambassadors. Jani Rashid, Head of Bradford Council’s Diversity and Cohesion Service, and Alina Khan, Project Leader from Jani’s team, were invited to 10 Downing Street in recognition of the work which encompasses the Anne Frank + You project. The PFE holds “big conversations” throughout the year on topical issues in education. Forums consist of expert speakers and the opportunity to ask questions and discuss the issues they raise. The forum, independently chaired by former Bradford headteacher Michael Latham, takes place on Wednesday, 25 March from 4.30pm to 6.30pm in the Banqueting Hall at City Hall, Bradford, BD1 1HY, and on this particular subject discussion will focus on how we support and develop individuals and, in so doing, increase quality across the district; how do we keep Bradford’s existing outstanding colleagues who are in demand elsewhere; and it will explore how we attract more outstanding leaders to Bradford. The Council has committed approximately £600,000 to developing education leadership over the next three years. At a time of some significant budget cuts there is a real commitment to the priority of recruiting, developing and retaining the very best teachers and school leaders. We hope you have found this latest bulletin useful – please keep an eye on the blog for future updates. Do you know of a truly brilliant teacher in the Bradford district who you think should be recognised for their fantastic achievements? After the success of the T&A’s School Awards, here’s another opportunity to see our great teachers get the credit they deserve. BBC Radio Leeds is launching its Thank You Teacher Awards, inviting people from across West Yorkshire to nominate their most inspirational teacher. From pre-school to primary, secondary, FE and extra-curricular, this is a fantastic opportunity to celebrate the work of teachers across the region. They are asking for a 250-word submission and for those aged 16 and under there’s a special category which means they can submit a short film about the teacher who most inspires them. The winners, runners up and nominators will be invited to a special awards ceremony at the West Yorkshire Playhouse on the evening of Monday 15th June. Further details and the application forms are available from the BBC Radio Leeds website. But don’t hang about – you only have until 31st March to submit nominations. Welcome to the first edition of Educate Positive, a fortnightly bulletin which celebrates and highlights the innovative and effective practice which is happening in education and in schools across the district. Raise attainment of underperforming groups and narrow the attainment gap. Recently four of our schools have received praise from the Department for Education (DfE) in the Pupil Premium Awards, for the help they have given to their most disadvantaged pupils in a bid to close the gap on their peers. Brackenhill, Farnham and St Francis Catholic primaries were all recognised for these awards which are given to schools that “have made or continue to make impressive improvements in the attainment of their disadvantaged pupils,” and are based on their Key Stage 2 results. All three schools were awarded £1,000. We have also just learned that Beckfoot School has been awarded £5,000 in the Key Stage 4 category. David Laws informed the school it had been selected for being one of the most improved schools in the country in terms of the attainment and value added progress of its disadvantaged pupils since 2011. Brackenhill was one of the most improved primaries in the country for the help it provides to Pupil Premium children. Eleven schools in the BPIP (Bradford Primary Improvement Partnership) have taken part in a mathematics good practice study. A working party identified schools which have a strong track record of high achievement in mathematics and visited them as part of the research study. The findings have been recorded in a booklet distributed to all BPIP schools. School to school support is being provided and led by the best practice schools for other BPIP schools in the form of a best practice seminar and in school modelling of mathematics lessons and other related exercises. It also entails the delivery of targeted professional development opportunities to specific audiences such as newly and recently qualified teachers (NQTs and RQTs) and mathematics subject leaders. Positive feedback has been received from teachers who have attended the training or undertaken focused visits to the schools involved. For further information please contact Yasmin Umarji, Senior Primary Partnership Officer, T 01274 385523 or mobile 07582 109272.